What is the greatest luxury of all? Is it relaxing after a day of water sports with a massage, cocktails in the Jacuzzi or sunbathing on the forward bridge deck, reading in the elegant saloon or enjoying the lengthy list of sports equipment? Or is it simply the choice to do all – or none – of the above? Andreas L is a yacht that proves you can never have too much space. Space to entertain, space to relax, space to socialise with friends and family, or space to enjoy time on your own. A dedicated charter manager is on hand to anticipate your every need and ensure that your stay is whatever you want it to be. 60 metre Andreas L is one of the finest Benetti yachts. Add to that interior design by Redman Whiteley Dixon and the charter experience of Liveras, and you have one of the most exceptional yachts in the world. Huge outdoor areas include three distinct deck spaces for sunbathing or dining. The sun deck has a Jacuzzi and vast curved sunpad forward, separated from the aft dining and sunbathing by a fully equipped, enclosed, air-conditioned gym. For a change of scene, how about the enormous sunpad forward on the bridge deck? Wind in your hair, sun on your face, spectacular view in your eyeline. And that is not all. When you consider that in addition to these sensational spaces there are two additional, covered dining and seating areas aft of the upper and main deck, Andreas L is a breathtaking yacht. The sun deck measures fifty per cent of the yacht’s length. An immense beam of over ten metres creates enough space for quadruple sunpads both forward and aft, and a shaded dining table for 12, where guests can enjoy the exceptional cuisine of the onboard chef. An illuminated Jacuzzi is lit by changing LED coloured lights. Sip a cocktail at the swim-up bar as the bubbles pulse from red to blue, through green, orange, purple and every shade in-between. Classic/contemporary interior design features warm-toned panelling in wenge and anigre, complementing sumptuous cream fabrics for an utterly tranquil atmosphere. The large, open main saloon stretches uninterrupted from the aft deck through a bar and a spacious, elegant seating area to a dining table that can seat 12 guests. 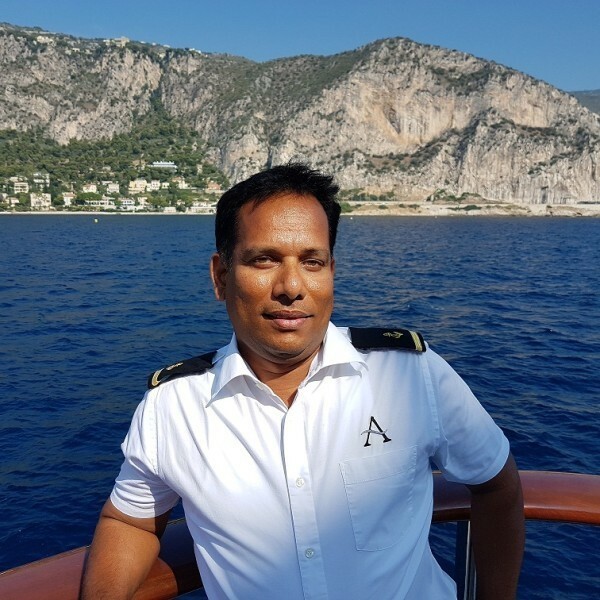 Andreas L has been intelligently designed to ensure that the day-to-day duties of the crew have minimal impact or interruption on guests’ enjoyment of the yacht. Dining on the covered upper deck is always a delight – day or night. Whatever your taste – in food or theme – the dedicated crew will make it happen. 12 guests are cosseted in six comfortable cabins. The full-beam master suite is on the main deck, and features a stunning marble bathroom and private sitting room. A VIP on the upper deck can be either double or twin. Two double and two twin cabins are situated on the lower deck. the feeling of calm and space. Following on from his excellent track record as Chief Officer on board PV ANNALIESSE and PV ALYSIA, Cristinel joined ANDREAS L back in 2010 as Chief Officer. Cristinel has now earned the position of Captain and took the helm early October 2017 proving excellent command skills. 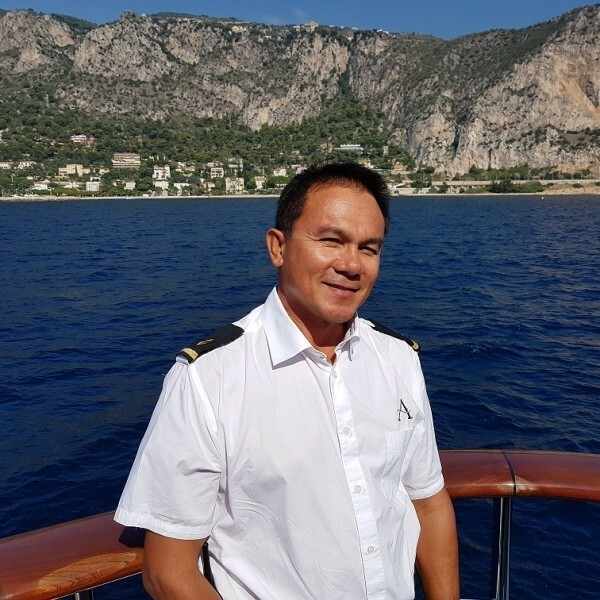 He ensures his guests enjoy a safe and memorable time onboard. Cristinel brings his good-natured character, his hobbies include hiking, photography and music. 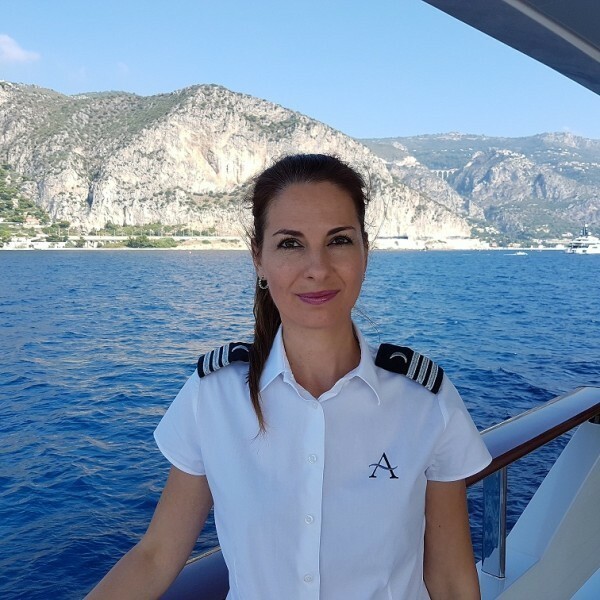 Ionela joined ANDREAS L as Chief Stewardess in May 2018 after 12 years in the yachting industry. 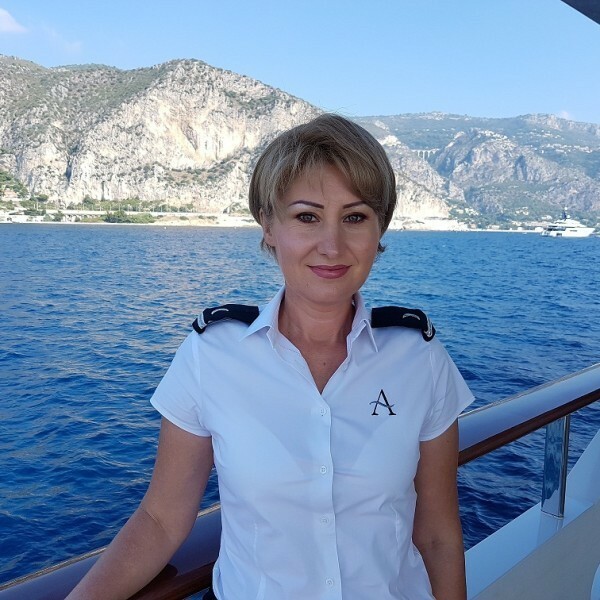 Ionela has attained a vast experience as Interior Manager on board MY RADIANT (110 m) and as Relief Chief Stewardess on board MY A ( 120 m) over the last 5 years. She has a meticulous eye for detail, an unwavering smile and does her upmost to make your stay onboard an enjoyable and relaxing experience. Her hobbies include hiking, yoga and snorkeling. 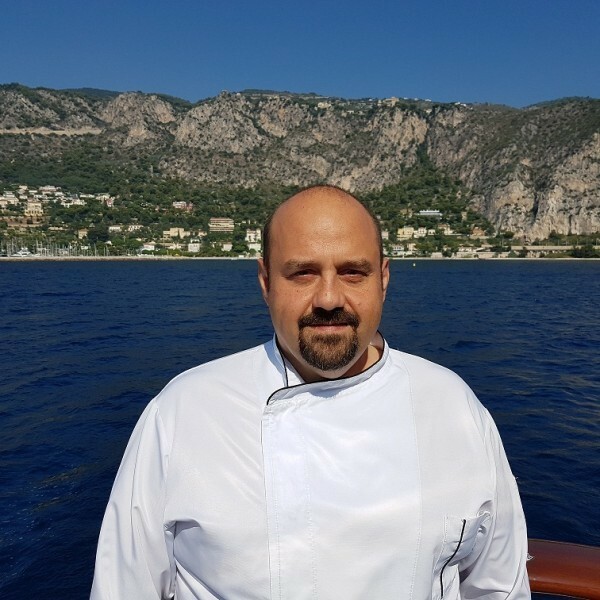 Head Chef Alberto joined in 2017 after an extensive culinary career both on land and in yachting. Back in 1996, Chef Alberto was Second Head Chef at the Four Seasons in Milano. He kept refining his skills abroad, like in Vienna at the four stars ‘’Hotel Royal’’ where he was managing 2 restaurants and responsible of a brigade of 28 Chefs. In Brazil, he was a Partner in a restaurant-disco employing 57 members of staff. His background in yachting includes Head Chef on board MY DEEP BLUE (45 m), MY ENIGMA ( 71 m) and MY OLMIDA (50 m). His specialties include Italian, French, Spanish, Mexican, Austrian-German, Brazilian and Middle East cuisines. Jhoan joined ANNALIESSE (85.3 m) as a beautician / masseuse early in 2004 and has delighted our guests with her gentle manners and her wide range of treatments. She is fully trained for pampering to the highest standards in massage therapy and beauty treatments. With a dedicated room on board and the option to have your treatments outside in the shade of the sun deck, Jhoan will enhance deep relaxation and well-being. Her favorite past time’s are reading and singing. Slava graduated from Odessa Maritime Academy. 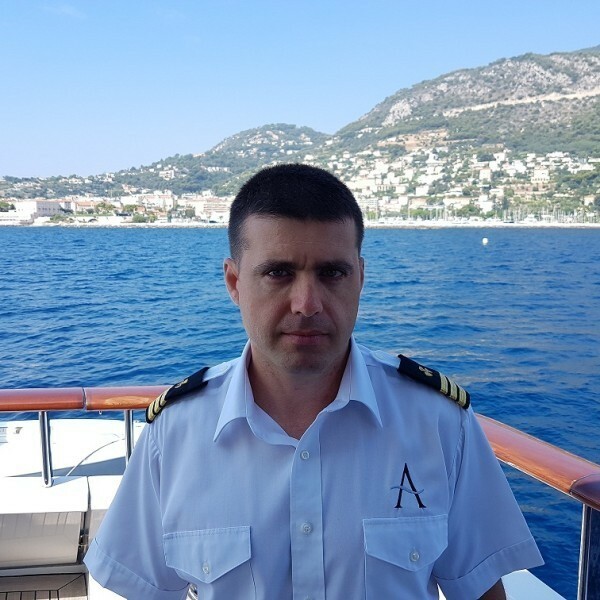 After 5 years as Chief Officer on board luxurious yachts such as SS DELPHINE and PV LAUREN L, Slava joined ANDREAS L in 2011 as Chief Officer and obtained his Unlimited Master Certificate in 2012. Determined and reliable, Slava keeps ANDREAS L in pristine condition and is proactive, like having the jet skis in the water in a timely fashion. In his spare time, Slava relaxes driving fast boats or brushing up his computer skills. 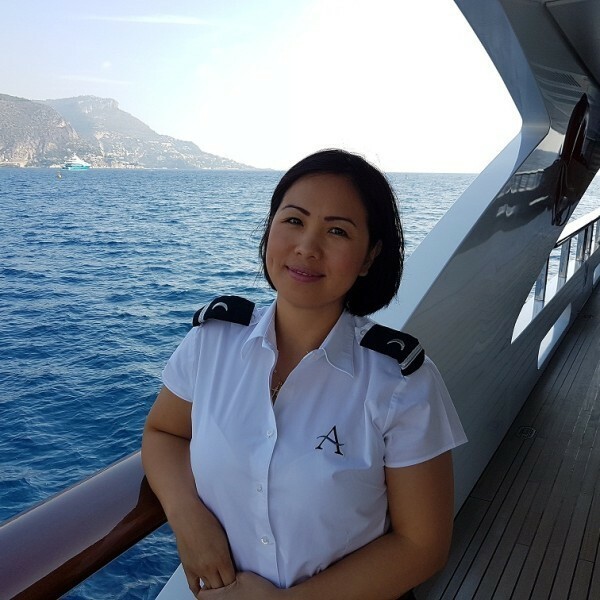 After 3 years as Housekeeper for a prominent Family in Milano, Rodica further developed her skills as Stewardess on board MY XK Enigma ( 73 m expedition yacht) for 2 years and joined ANDREAS L in May 2018. Rodica delights guests with his attention to detail and all aspects of service management. 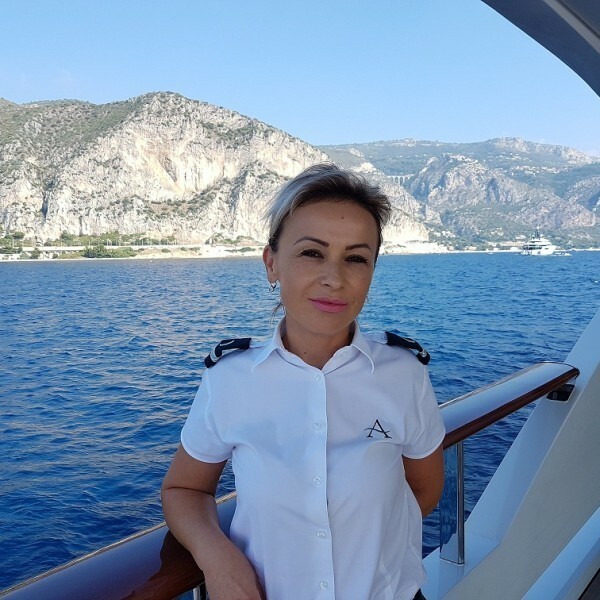 Further to a 15-year experience in the Hospitality Industry developing her skills both ashore and on board, Alina joined ANDREAS L in May 2017 and proved to be a real asset to the team. Alina is adaptable and will make your stay whatever you want it to be. She is very reliable with a “can do” attitude. In her spare time, Alina likes dancing, music and reading. 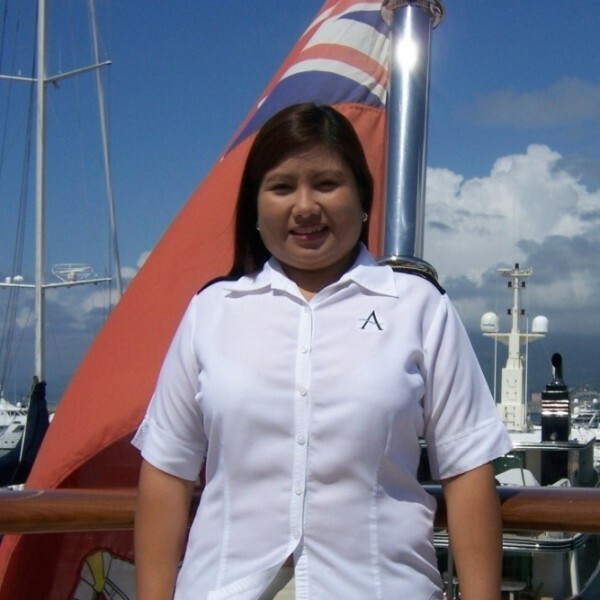 Noemi started her career in the Hospitality industry in the Maldives before joining P/V ALYSIA in 2008. She offers personal service with a charming and genuine smile. Noemi is also a fully qualified masseuse and beautician. In her spare time, you will find Noemi reading and singing. 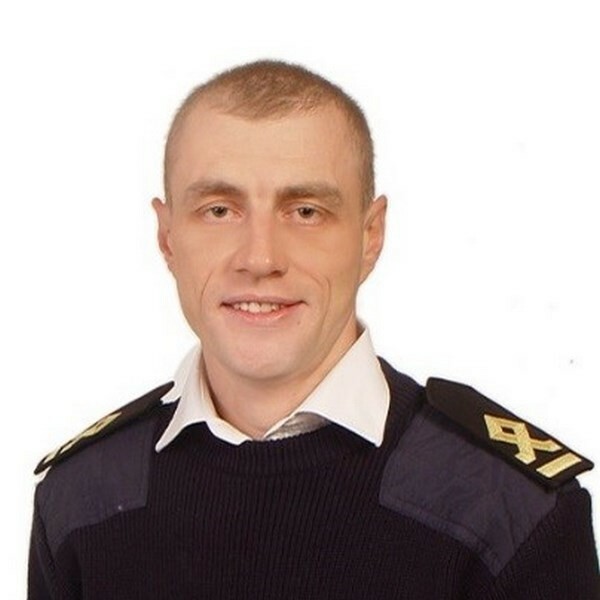 Costel, a fully trained Marine Engineer, graduated in 1992 from the Merchant Maritime College in Constanta. 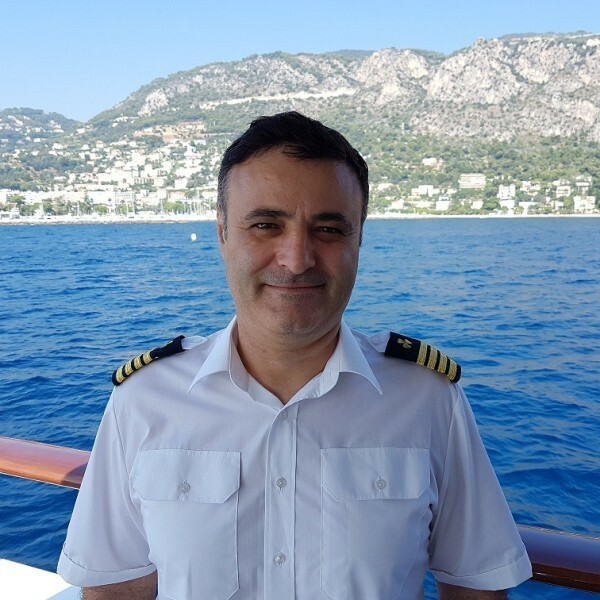 During his 19 year experience, Costel has been Chief Engineer on board P/V LAUREN L (90 m) for 3 years prior to joining ANDREAS L in September 2011. Costel’s extended skills keep ANDREAS L in top running condition for our guest’s ultimate comfort and safety. 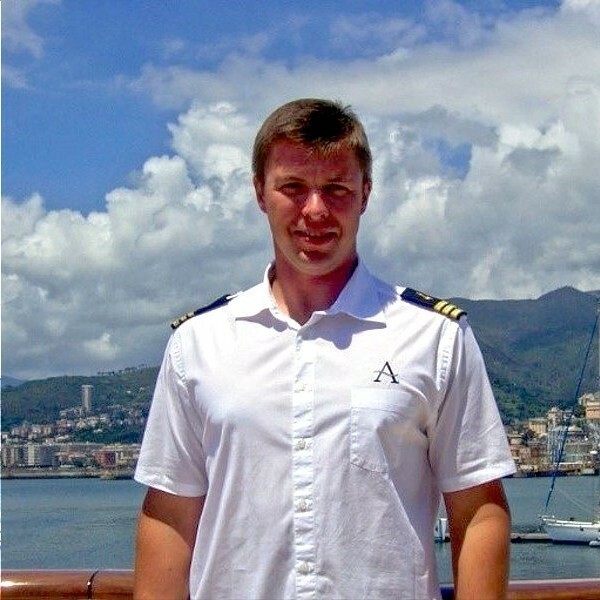 Mykola graduated from Odessa Maritime Academy and started working on commercial passenger vessels. He made a seamless transition into yachting as 2nd Officer on board MY BLIND DATE (47 m) from 2014 until 2016 and joined ANDREAS L in 2017. Mykola is eager to make sure our guests make the most of their vacation. Kosta hails from Odessa – Ukraine’s nautical capital - and graduated from Odessa State Polytechnic University and Odessa Marine College. After an extended experience in the commercial marine sector, Kosta took the opportunity to fine tune his engineer skills on board LAUREN L for 2 years. Kosta joined ANDREAS L in March 2012 with proven record as an electrician engineer. Kosta is a hands on and hardworking crew member whom likes to be involved in all aspects of the yacht. In his leisure time, Kosta enjoys table tennis and computer games. Born in the South East of the Philippines, Pepito had an affinity for the water at an early age. He graduated from the Marine Training Center in Manila and immediately joined the yachting industry. 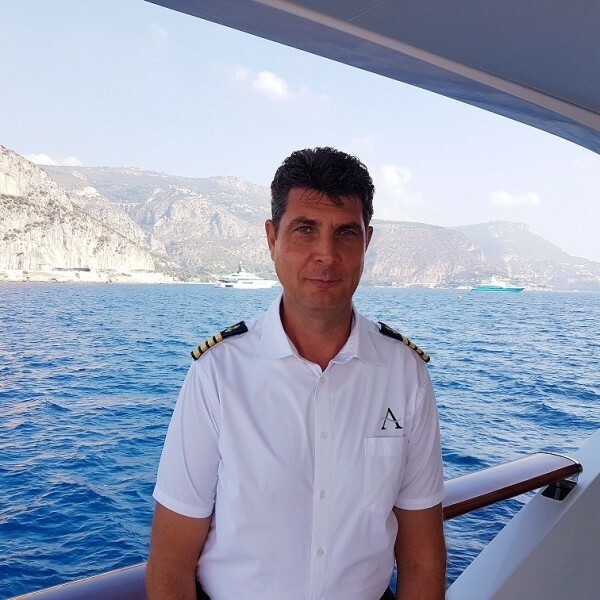 Over his 24 year career, he spent 20 years on board: PRINCESS SOFIA, ROSENKAVALIER, PRINCESS TANYA, PRINCESS LAUREN, ALTAIR, ANNALIESSE, ALYSIA, LAUREN L and currently ANDREAS L. Pepito will be delighted to prepare each day a different water toy activity, the choice is yours ! Pepito’s favorite past time’s are fishing, swimming, reading and singing. Indunil completed a Food and Beverage course for a year home in Sri Lanka. 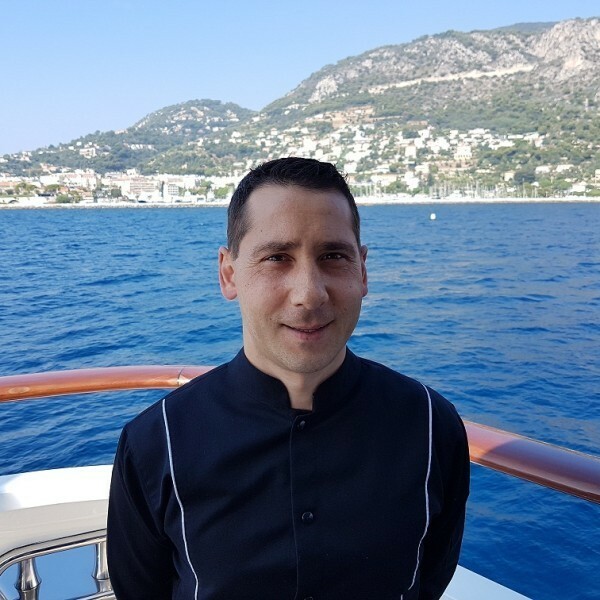 After several years in the Hospitality Industry, he joined PV ALYSIA in 2007 and joined ANDREAS L in 2010. He is a hard working person, continuously learning and improving his skills. Indunil holds a life guard license and is very committed to ensuring both the comfort and security of our guests. He is a football fan and an accomplished football player himself. Indunil loves listening to music and reading. Aravind holds a Bachelor degree in Economics from University of Calicut. He is a genuine all-rounder and real team player, happy to assist with a friendly smile. 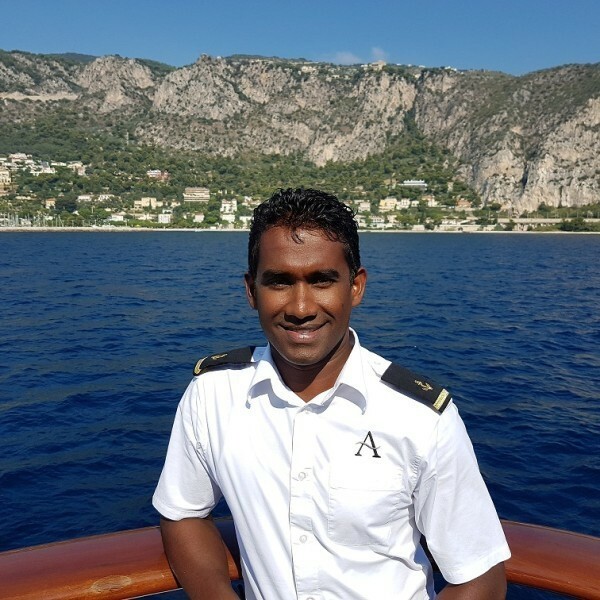 He was Chief Housekeeper on board PV LAUREN L (90 m) and was happy to extend his qualifications to be Deckhand since 2012 onboard ANDREAS L. Aravind is discreet and very efficient. A sailor at heart, he enjoys travelling extensively. Eugen started his career at Sofitel Hotel home in Bucharest back in 1998. For 5 years, Eugen worked on board luxurious cruise ships, travelling the world (USA, Galapagos Islands, Costa Rica, South Pacific islands and Australia) and joined ANDREAS L in 2015. Eugen prepares Menus according to the local culture and ingredients. Eugen is well versed into Vegan, lactose intolerant and low carbohydrates. Eugen is friendly, cheerful and flexible. ANDREAS L accommodates 12 guests in 6 cabins. The Master cabin has a king size bed, his and her bathroom and walk-in wardrobe. Her bathroom offers both a shower and a bathtub. The VIP cabin can be set with either a double bed or 2 single beds. The VIP has a shower and toilet. 2 Guest cabins have a double bed, shower and toilet. 2 Guest cabins have 2 single beds, a pullman bed, shower and toilet. ANDREAS L is fully air conditioned through out.